After discovering that my wife's bike had been stolen from the bus stop where I had chained it up for my ride home last night meant that today was going to be an early start. 4:30am EARLY! After some bad news yesterday which impacted on the family resulted in a sleepless night. Getting back to sleep after getting up at 2:00am for my two year old was no problem. Waking two and half hours later was. But I needed to get to work early and with my bike still at work that meant I needed to run the 12km to the nearest bus stop. Usually easier said than done but after riding and running yesterday and with glycogen-depleted muscles yet to adapt to the changes in nutrition I have recently made I was dragging my feet. Ran home trying to take it easy in the dark. Tripped in a pot hole which is easy to do after all the rain we have had and the damage to the roads. Hip took most of the impact. Finding motivation and a sense of purpose is often difficult when faced with so many choices. What I have found is that one of the key ways to help resolve my motivation and sense of purpose is to share my story and help people on theirs. Wherever I go people are always interested in what, why and how I do things either with exercise or with diet. I find that I really enjoy giving out information and telling my story that it helps to give me the focus I need to remain on my own path. One problem I find though is that sometimes I get so focused on helping and supporting other people that I fail to dedicate enough time for myself. I’m lucky to have found a few people who are dedicated (perhaps obsessive is a better description) who I can bounce a few ideas off and are willing to experiment with their diet and training to challenge their beliefs and function outside of the box. Case in point. I lent out my low carb endurance book to a work colleague who is a cyclist and within three days he had read the book, bought himself a ketone monitor and arrived at work with a bunch of questions about blood ketone readings, training and what sorts of foods he should be eating to get himself into nutritional ketosis. Talk about dedication! He even showed me his tracking spreadsheets complete with graphs. Being surrounded by these sorts of people whether in close physical proximity or around the world connected by various social media and email really helps to keep me dedicated and living my life’s purpose. 1800: Run 12km in 0:52 - ran from bus to home. Felt good which I was surprised at considering I'd consumed about 30gm of carbs today. This is what I'm currently reading and after listening to podcast interviews with Jeff Volek, Stephen Phinney, Peter Attia and Tim Noakes I've decided to experiment with a nutritional ketogenic diet and endurance training. I've had many discussions with endurance athletes from all nutritional disciplines and it's always ended with "show me an athlete that has success following a low carb approach". I searched around the internet and studied some of the published research and didn't come across much. Often the diet is associated with training and racing at low intensity levels (60-70% VO2 max) but I'm interested to see if I can apply this nutritional approach to an athlete that is interested in finishing near the top of ultra-distance races. When I embarked on my 30 day Primal Challenge back in 2008 I questioned whether an athlete could perform while ingesting lower levels of carbohydrates than the typically recommended endurance diet and my results concluded that I could not only run well but I could run at an intensity which gave me my first sub 3 hour marathon and a smashing run over a 90km trail where I set the fastest known time. 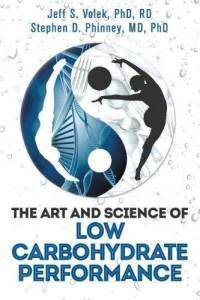 Email exchanges and blog posts from Mark's Daily Apple even suggested that we could adapt to a high fat/low carbohydrate diet to achieve additional athletic performance gains. Being a person that likes to do things a little differently to the conventional I've always been interested to see if this was possible. I've decided NOW is the time. What I hope to get out of this experiment is to see if there are any benefits to athletic performance in being in nutritional ketosis - reduced lactate production, increased recovery, reduced inflammation, increased fat utilisation, etc. My plan is to journal my progress for at least 30 days starting tomorrow. 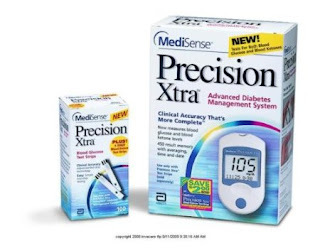 I've got myself one of these so I'll be able to track my blood ketone levels. I have been planning on writing up a blog post for months which would provide an update on what's been happening but I'll save that for another day. To force myself to get started I thought I would start with just logging my daily exercise until i've rediscovered the blogging habit. My running has been up and down since I finished my first and perhaps only Ironman. Since the Ironman I have also changed jobs and moved interstate. The new job takes in almost twice the work hours that I was previously putting in which eats up nearly all available training hours and my fitness has taken a dive. I've run a few races in my new state which have provided some friendly competition amongst my work colleagues and as a team we even managed to win the male category in the four race corporate running series. My last race was the big state 10km road race and with a strained hamstring sustained two weeks prior I considered not doing it. The free corporate entry and elite start made me decide to just do it for the experience. Finishing in 39 minutes while not what I would have hoped for several months prior I was happy to finish so that I could start work on fixing up my hamstring issues. 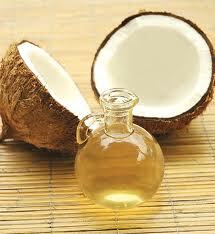 Started experimenting with adding Coconut Oil to my daily menu. Currently at three tablespoons a day. Wondering how much is too much? Today for breakfast ate 1 banana, 2 raw eggs + 1T coconut oil which kept me feeling good until late morning. Tonight's salad was topped with another 2T of coconut oil and steak. Tasted good after 2 and 1/2 hours of riding and running. Training 200km per week trying to push my fitness to the highest level in order to run an ultramarathon seems like a necessary evil but when injury two weeks from the main event results in a DNS (Did Not Start) it leaves me to wonder what my fitness and life goals are going in to the new year and beyond. Week after week of high volume run training takes time and a high level of commitment that often leaves a shortfall where other areas of my life are put on hold or attacked with only enough enthusiasm and desire to get them done. The weeks leading up to the big day also become more and more stressful as you doubt everything you have been doing and what needs to be done including training, nutrition, race planning nutrition, sorting out crew teams, accommodation, travel, and the list goes on and on. Past experience has shown me that injury often results in a change for the greater good which is what I’m hoping for now. So, leading on to where I am now. Time away from running, allowing my body to heal gave me time to reflect upon what I want to achieve with my fitness, nutrition and body composition. I’ve become very one-dimensional and have made sacrifices in areas of physical performance mainly centred around but not limited to strength, flexibility, mobility and desired body composition. Not only is my fitness/physical training in need of a major revamp but also I need to rethink my nutritional philosophy and become a little more rounded. Since the inception of this blog I’ve gone full circle from primal (meat based) eating where I started with the successful 30 day primal challenge via a year or two as a raw food vegan and now back to… well I’m not entirely sure yet but over the weeks I’m taking some of the slow carb suggestions in Tim Ferriss' book The Four Hour Body and will mix it up with things I have learnt from the Primal Blueprint, Robb Wolf’s Paleo Solution podcast, Paleo Diet for Athletes and other sources. I reflected back over my diet and training over the last few years and discovered some truth’s. A raw vegan diet provides me with high energy and lower bodyweight but in comparison the paleo diet not only produced the same body weight but I was also noticeably leaner, more muscular and better body composition. I had veins on my stomach, ran a sub 3 hour marathon (a 26 minute PB at the time) and enough endurance to run a course record over 90km without the excessive volume of training that I have been putting in to run ultra events in 2009-2010. I did podium at The North Face 100 in 2009 though as a raw vegan but the year since have also been marked with a number of DNS and DNF’s as I’ve failed to live up to the expectations I had set upon myself after discovering some talent for running the longer distances. I’ve also had more illnesses over the last few years since going meatless – repetitive sinusitis, flu and even chicken pox to name a few. I feel like I’ve had my head in the sand trying to convince myself that I could achieve everything I wanted as a plant-food purist but thankfully I’ve awakened from my meatless slumber. 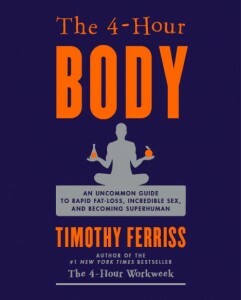 The title heading of this post “Becoming Superhuman” will be my 2011 goal inspired from the book The Four Hour Body. The book is meant to be read as a kind of choose your own adventure where you choose your desired goal – i.e. get faster, leaner, stronger etc and then you choose what chapters to read to take you along that path. As diet always fascinates me I started with the getting leaner section, before jumping into the ultra endurance chapters and then sunk myself into the Effortless Superhuman chapter. Strangely a lot of what I read in the book came as no surprise but seeing it all laid out together and his style of self-experimentation has excited me to conduct with my own self-experiments to see what the outcomes provide. Slow Carb eating. I’ll follow most of the recommendations from 4HB but I’ll make allowances at times to facilitate my endurance training to include some non-approved foods including fruit. At other times I’ll focus my meals to resemble a more traditional paleo meal approach by excluding legumes and centring the meal around meat and veggies. I also like his thoughts about protein cycling and intermittent fasting which I’m going to try and fit into my weekly schedule. Binge Day. I’ve never really gone for an assigned binge day (except for a brief stint nearly 20 years ago when I was playing with a Bodyopus inspired Cyclic Ketogenic Diet) but I think it will work well for me as I like to have some non-paleo foods from time to time and this will make it easier to have those food items without ruining things too much. I remember listening to a Ben Greenfield podcast where he recommended a day of higher carbs to replace the muscle glycogen depleted during the week of training. OK either way it sounds good to me! Ultra Endurance. Tim works with Brian MacKenzie of Crossfit Endurance who advocates limited endurance training to his athletes in order to run 100 mile races. His focus is on strengthening the body and training it to be more fat-fuel efficient and most of his run training recommendations include fast 400 to 800m repeats with a couple of longer runs up to the Half Marathon distance. Here I think he makes some good points but for someone who runs towards the front of the pack I think it is lacking in run volume. While he may get you across the distance with his training methods I believe these is no substitute for ultra specific long runs and course specific sessions including long hills to build other areas of your physiology and more importantly your mental fortitude. The Four Hour Body is my new go to book and one I would recommend reading for anyone that likes to think outside the box. it's now two days after finishing the VO2max Booster Program and i'm actually finding the thought of just going out for an easy run hard to fathom. especially considering the rain that is falling outside. while i haven't run a test to check out if i gained fitness (improved VO2) i'm definitely feeling fitter as a result of the intensive 14 day training block. from start to finish the workouts actually started feeling easier and on the last day i even needed to up the pace during the final 30-30s session to try and max out rather than quit because of boredom. ok i'll give a brief overview of my day to day while on the program. day 1: skipped the 5min VO2max test scheduled and used my VO2max speed (3:20 pace) taken from my physiological test results conducted at the NSW Institute of Sport. next time (yes thinking about repeating this program in two weeks) i'll run the test to get a picture of my current physical status. during the week (monday to friday) i also included a 8-15km easy run maintaining a HR effort below 75%max. day 2 (wednesday) - before commencing this program i had already ran the previous three days with moderate-high intervals. Got through the warmup feeling good and when it came time to run the intervals for mathematical ease i extended the interval from 30sec to 200m so that i didn't have to constantly look at my watch. ran all intervals around 40sec and the recovery was extended to 100m but run slightly quicker than prescribed. legs felt fast, bouncy and surprisingly fresh. day 3: legs felt awesome and less fatigued than is usual while training with high volume. i increased the warmup to 20min and then ran the session as 5min @ 3:42 pace with 10min @ 6:40 pace (which felt too slow but i kept to the program), 10min cooldown. felt comfortable throughout the session. another session which felt easy. maybe next round i'll increase the repeats up to 10.
today was a scheduled recovery day with short sprints. i actually liked this session and will continue to use this a short recovery day. it really helped to flush the legs. i also ran the 15sec fast segments closer to 110% of vVO2. when it came time to do this session didn't have it written down and ended up running five sets rather than four. still found that i could do more sets especially with such a long (5min) easy jog between sets. went into this session with my stomach a little off but thought 20 would be a good number to hit. ended up stopping at 24 repeats due to stomach and not my legs or lungs which was a good result. it is suggested that it is better to stop a session knowing you could do more rather than going to complete failure. of course not going to the brink leaves you with the question of where your failure point is. need to push through sometimes in order to find your limits. well that's a short seven day summary of the program. i'll try and post the next seven days of the program when i have some more time. Finding one’s limit, to push (break) the boundaries, to extend one’s frontiers, to expand one’s horizons, to seek the unknown, to experiment, to explore the realm of possibilities, to boldly go…. Actually I like to think that I’m trying to push beyond my boundaries and see what’s on the other side (or on the inside). Hopefully I'll discover a higher realm of fitness and understanding about what my body can absorb and adapt to. Everything I do with my body, mind and soul is an experimental journey to find out what works and what doesn't. I generally take everything to extremes some healthy and some not so (drinking, smoking, insert other bad habits here...) but the path that I'm trying to follow will hopefully bring me to a higher level understanding about me. I was reading a post from the fitness black book (i think) and from the page I followed this link and after reading through the program I decided to adapt it to running and give it a go. Looking back at my training this year it looks like I’ve either been building or maintaining my base fitness from the early season ultra-marathons but as I’ve decided to try to get faster and race more often I need to incorporate some regular speedwork sessions into my program to improve and take it to the next level. So now that I’ve completed Day 3 of the program and started to maintain a training log again I can see that I’ve actually run 5 days (maybe more but no memory or records of runs prior to Sunday) of quality sessions back-to-back. Sunday was an 80min longish run which out of boredom necessitated that I include 4 x 10mins at marathon pace effort (~4:00/km) to reduce the mental strain, Monday included a 15km moderate run (61mins) at lunch and after work I ran a hard 30min tempo session at close to 10k race pace (3:50/k), Tuesday morning I ran an interval session which included 1x1000m (3:36), 3x800m (2:52, 2:53, 2:50), 6x200m and then ran another 9km at lunch. So why would I then decide to move my training right into a 14 day VO2 boost program. Doesn’t make sense does it but a lot of what I do is considered a little crazy and on the brink of insanity which is often pointed out to me by my endurance junkie mates. Well Day 3 (or Day 5) has come and gone and I am laughing in the face of fatigue. My legs feel great, no niggles whatsoever and I'm feeling very fit... and very hungry. Here is an outline of what I'm doing for the next two weeks. This training program will dramatically boost your race performance in only 14 days. The training program can be used by any cyclist… or in my case adapted for running. On top of what is set out below I’m also keeping up with my twice daily runs making a second run either before or after the VO2 boost session an easy run of 40-70mins or a cross-training session which will either be a ride or a spin class. Now it is time for you to enter the VO2 Max Booster Program by performing the 5min test as the first step out of 14 steps to a higher VO2max. Good luck! OK I skipped the test as I had a physiological test done for both VO2 and LT when I ran my last marathon and I feel that my fitness is currently close to that level. After the completion of the program I will do the test (or enter a race) and see if I’ve effectively improved my fitness. This is a super hard VO2 max interval session that will dramatically boost your VO2 max. It is time effective and guaranteed to change your view of what interval sessions can do for you. Go for it! Congratulations! You’re have completed the VO2 Max Booster Program! Afterwards I recommend you to take some easy days, maybe a day off, to recover from this overload of VO2 max intervals. Remember what I said about overreaching? You are not overtrained now, you are overreached and in the next couple of days you will begin to super compensate for the last 14 days impressive workload. 5min max test to find your new VO2 Max - Well I think I can find a race instead. 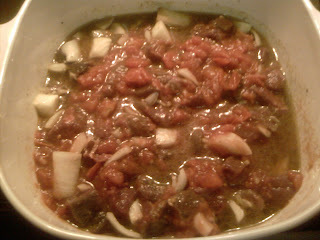 Combine goat, garlic, onion, Ras el Hanout, cooking oil, tomatoes and water in a deep casserole dish. Stir well with wooden spoon to combine. Cover the casserole dish and bake for approximately half an hour. 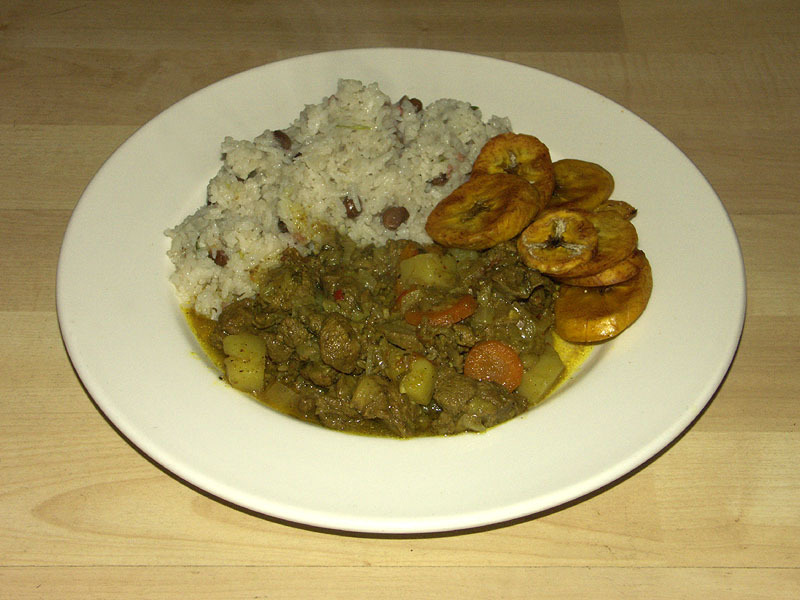 At the end of this cooking time, add the dried fruit, sweet potato and potatoes. Mix well again, recover the casserole dish and continue to cook for about an hour and a half or until the goat is tender, veggies are cooked and the dried fruit is plumpy delicious. Serve with plain or savoury couscous for a touch of the authentic. Grind all the ingredients together in a mortar and pestle (I used a coffee grinder). It made up 2 tablespoons worth. it was great and the older kids loved it too!!! 6:30pm - large salad - cos, tomatoes, cuke, peppers, red onions w/ beef and cheese. steamed sweet potato (another big run in the morning out on the race course).